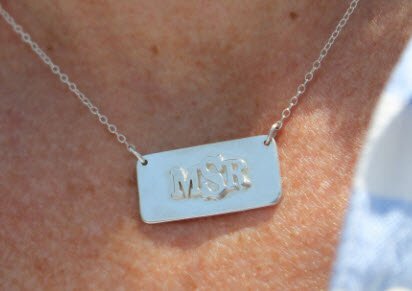 Stay in style this Raised Monogrammed Bar Necklace in Sterling Silver 1" bar. Layered or alone, either way it makes a statement! 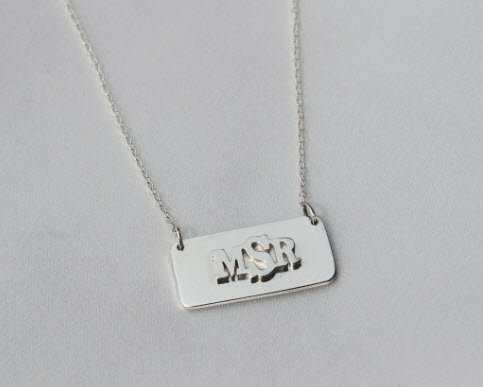 Personalize with your initials or name up to 8 characters. 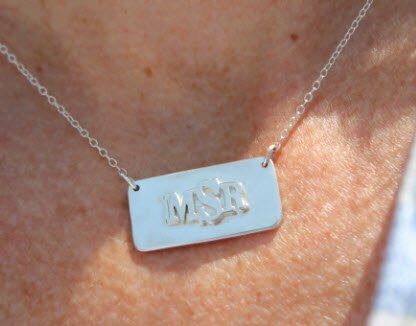 We an offer this necklace and gold plate, rose gold plated and solid stering silver. Price: $102.00 In stock! - Browse this brandOur products are custom made to your specifications. This product ships up to 3 weeks after your order is placed.